Within the dog training community there’s a lot of misconceptions about the term positive reinforcement. In addition, the image and idea it delivers to pet owners causes the true identity of the term to become muddled. Positive Reinforcement is the addition of something in order to increase the likelihood of behavior. This means that when the desired behavior is performed, the dog received something that he/she deems valuable. Getting something of value means that the animal is more likely to repeat what they just did in hopes of receiving another reward. 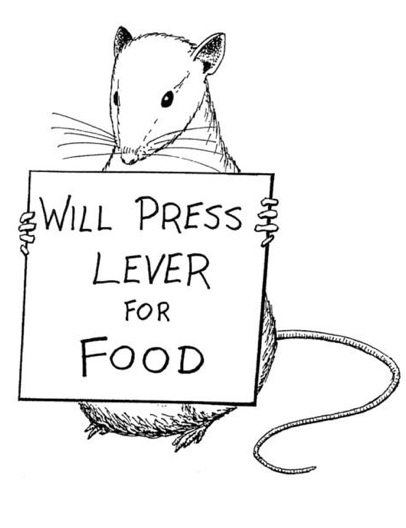 This is a psychological concept that has even proved to be effective in teaching humans, and was propagated in a study by B.F.Skinner using rats. When you receive encouragement at work for a performance well done, you will most likely attempt to repeat the same level of effort in order to receive additional encouragement. However, along with delivering things of desire to repeat behavior is removing things of desire in order to eliminate behavior. This way of molding a specific action/response is referred to as negative punishment. Trainers that implement positive reinforcement, tend to pair it with negative punishment. However, in order to be effective, the punishment needs to be successful in decreasing or eliminating the undesirable behavior. This would suggest you’d have to know your dog extremely well to be able to gauge what would be a successful punishment for them. The difference between an individual who uses “Reward Based” dog training vs. our “Balanced Training” brethren is that balanced trainers of today apply positive reinforcement with what’s known as positive punishment. A positive punishment is the addition of any physical/unpleasant correction that successfully decreases or eliminates a behavior. This is, in turn, to achieve a quicker result in eliminating the undesirable behavior. The reason trainers here at Applause Your Paws subscribe to “reward based” training methods (pairing positive reinforcement with negative punishment), is to avoid the risks that can sometimes be associated with the utilization of correction tools in balanced training (e-collars, prong collars, slip chains, etc.). Spot on timing is required in order to properly correct a dog for the behavior you deem inappropriate, because a fraction of a second too late can sometimes build behavioral issues rather than get rid of them. For instance, a dog that receives an uncomfortable correction that was intended to occur because it got up from a sit; but the correction was actually delivered when it glanced over at a dog. The dog doesn’t perceive the correction for what it was intended for, but rather for the incident that occurred after. With “positive reinforcement” methods, though timing is equally important, the damage factor is greatly reduced because even if we’re late with a treat it was a delayed reward and not a delayed correction. Depending upon the dog, repetitive instances of a delayed correction can cause anxiety, reactivity, or even aggression. This greatly depends on the sensitivity of the dog, but it isn’t a risk we’re willing to take. Knowing the idea behind positive reinforcement helps to better understand the methodology that’s being applied to your dog to help him/her succeed in training. Positive Reinforcement is used by almost ALL trainers in the field now-a-days. It’s the applied consequence/punishment that can vary depending upon the trainer.